Even though Google primary business model is based on advertising, Google is in 2018 a far more diversified company than it was ten years ago. In fact, beyond advertising, Google produces revenues in other areas, and it places some bets on a few risky ventures. Revenues of $110.9 billion and revenue growth of 23% year over year, constant currency revenue growth of 24% year over year. Google segment revenues of $109.7 billion with revenue growth of 23% year over year and Other Bets revenues of $1.2 billion with revenue growth of 49% year over year. Revenues from the United States, EMEA, APAC, and Other Americas were $52.4 billion, $36.0 billion, $16.2 billion, and $6.1 billion, respectively. Cost of revenues was $45.6 billion, consisting of TAC of $21.7 billion and other costs of revenues of $23.9 billion. Our TAC as a percentage of advertising revenues was 23%. Operating expenses (excluding the cost of revenues) were $39.1 billion. Income from operations was $26.1 billion. Effective tax rate was 53%. • Net income was $12.7 billion with diluted net income per share of $18.00. Operating cash flow was $37.1 billion. Capital expenditures were $13.2 billion. Number of employees was 80,110 as of December 31, 2017. Google operates in multiple operating segments. Google is the only reportable segment. None of the other segments meet the quantitative thresholds to qualify as reportable segments; therefore, the other operating segments are combined and disclosed as Other Bets. Google – Google includes our main products such as Ads, Android, Chrome, Commerce, Google Cloud, Google Maps, Google Play, Hardware, Search, and YouTube. The technical infrastructure and some newer efforts like virtual reality are also included in Google. Google generates revenues primarily from advertising; sales of apps, in-app purchases, digital content products, and hardware; and licensing and service fees, including fees received for Google Cloud offerings. Other Bets – Other Bets is a combination of multiple operating segments that are not individually material. Other Bets includes businesses such as Access, Calico, CapitalG, GV, Nest, Verily, Waymo, and X. Revenues from the Other Bets are derived primarily through the sales of internet and TV services through Fiber, sales of Nest products and services, and licensing and R&D services through Verily. 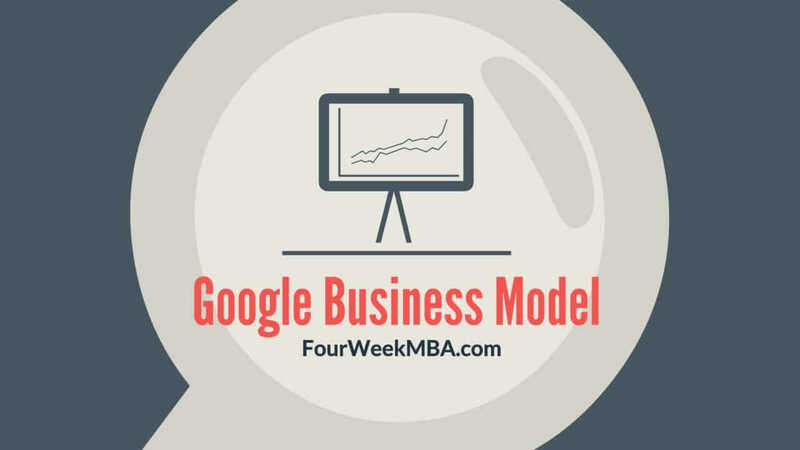 Ok Google, Are You In Search Of A Business Model For Search? Previous Previous post: What Is The Best Business Model For A Small Business?